Today’s guest post looks at the value of using quartz kitchen worktops, but one thing I hadn’t considered was the use of quartz countertops in the rest of the home. Read on to find out more! 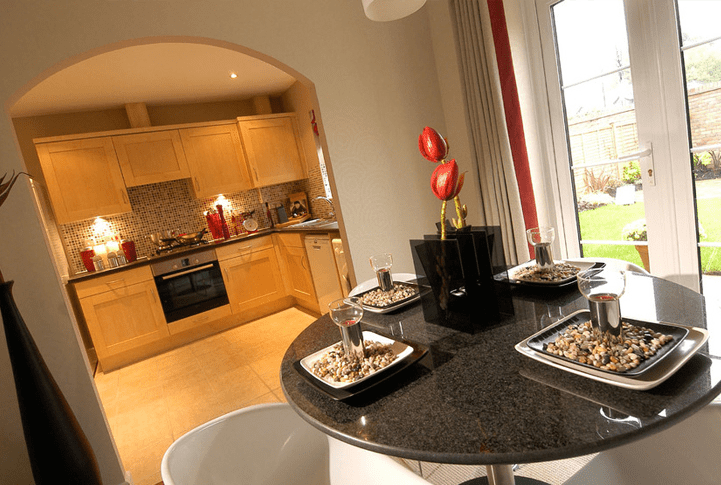 Quartz worktops are the preferred choice of many in search of a brand new kitchen countertop. A quartz surface is considered very hygienic because of its low-absorbent surface material. It is reassuring to know that a new kitchen countertop is resistant of harmful liquid contamination. The strong material is impervious due to a mixture of chemical compounds which prevents the otherwise corrosive effects of bacteria. That said, you should avoid using bleach to clean surfaces! My suggestion would be to use general cleaning solvent and simple household cleaning products to best preserve your kitchen worktop’s antibacterial qualities. It is not just the practicality of a quartz kitchen worktop that sets it apart – it looks great too! Margrasil UK supply ultra-modern, chic kitchen designs to suit any environment. A contemporary kitchen worktop can be fitted in any number of tasteful colours, styles and patterns. A quartz surface really does flatter the whole range of kitchen interiors, to complement modern and bespoke décor as well as more traditional kitchens. The long-lasting nature of quartz surfaces is a primary reason to consider a quartz kitchen worktop. The surface is scratch and heat resistant and less likely to chip or gather stains than alternative kitchen countertops on the market, such as granite. Quartz is extremely durable, as well as non-porous and odour resistant. The quartz composite is man-made and, when mixed with a small amount of resin, creates a highly durable and hard-wearing product. This ensures quartz kitchen worktops are not vulnerable to long-term deterioration. Quartz kitchen surfaces are straightforward to clean, despite being hard-wearing. The durable material requires the minimum amount of maintenance, simply use a damp cloth and every day kitchen cleaning detergents to preserve the high quality finish of your kitchen counter. Resistance to stains and scratches ensures a spotlessly clean appearance for your kitchen, which will look as good as new for years to come! Quartz surfaces exude quality and class in any room! Contact Margrasil for a quote to install quartz kitchen worktops, dining room counters or bathroom units. Quartz are just brilliant aren’t they, affordable easy to install and go with every modern day kitchen design. I never realised that this was manmade! Quartz certainly makes a very distinctive and attractive worktop and would, I think, look great in the bathroom too. Quartz is a very popular choice these days, become more so than granite. This is a great looking blog Jen and we will be back soon!